It was my husband’s birthday on Friday, and every year I make him a special Birthday Pie. 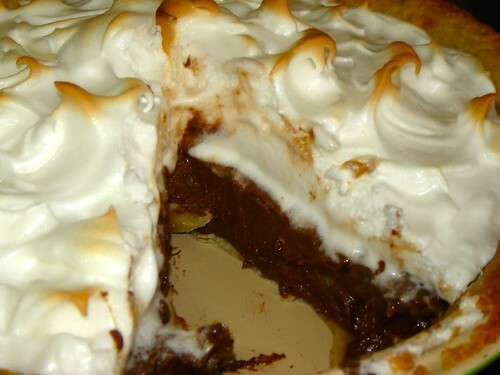 He loooooves his chocolate meringue pie, and this is the best, most decadent recipe I’ve been able to find. It’s a little bit of a production to make the whole thing, but the result is sooooo worth it. Just remember to plan ahead because you can and should make most of it a day in advance so that the filling has time to set. The results are unbelievably chocolatey, light, creamy, and delicate. I hope you enjoy it as much as he does! In a medium bowl, combine flour and salt. Add shortening and butter and blend using a pastry blender or a fork, until the mixture resembles coarse crumbs or cornmeal. Add the 2 tablespoons of ice water and mix with a fork until the dough is just coming together, adding additional tablespoons of water if needed to make a smooth dough. Wrap the dough in plastic wrap and refrigerate for 1 hour. Next, place the dough on a lightly floured surfact and use a rolling pin to roll it into a large circle, about 12 inches wide. 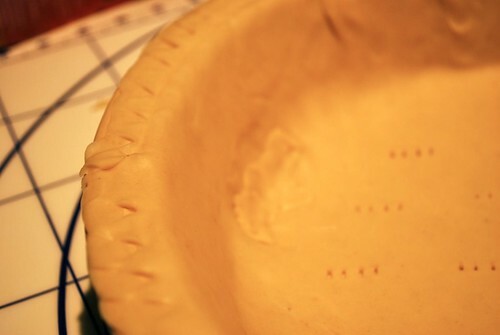 Transfer the dough to a deep dish 9-inch pie plate. Trim the dough and decorate the edge if desired. Prick with a fork, cover with plastic wrap, and refrigerate for 20-30 minutes. Preheat your oven to 400 degrees. 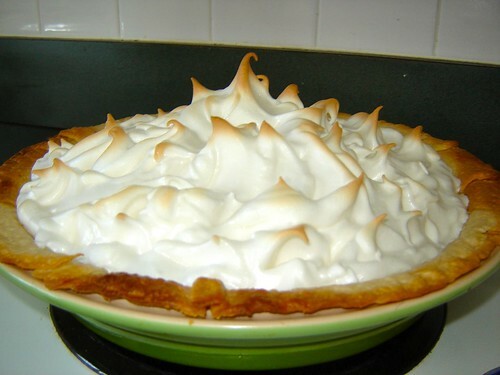 Line the shell with parchment paper or tinfoil and fill your pie shell with pie weights – dry beans work great for this. Bake for 10 minutes. Then, remove the paper or foil and the weights or beans and return the empty shell to the oven to bake for another 10-15 minutes, until golden brown. Remove from the oven and allow to cool. 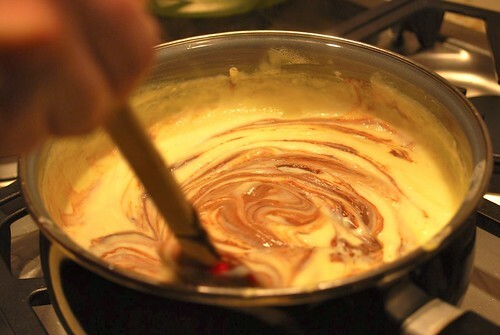 In the top of a double-boiler, melt the chocolates and the butter, stirring until smooth. Remove from the heat and set aside. Next, in an electric mixer bowl, beat the egg yolks with the sugar until thick and pale yellow. Set aside. Pour 1/2 cup of the milk into a small bowl. 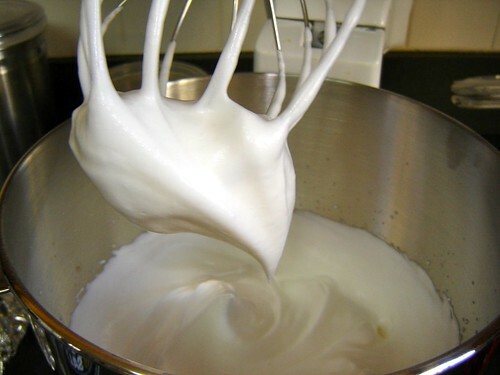 Add the cornstarch and salt to the milk, mixing with a fork until everything is dissolved. Set aside. In a heavy saucepan, heat the remaining three cups of milk over medium-low heat until milk is hot and steamy. 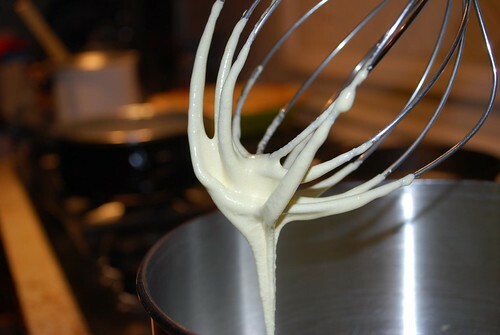 Then, pour about one cup of the hot milk gradually into the egg yolk mixture, whisking it in. Then slowly pour the egg mixture into the saucepan, whisking it into the rest of the milk. Next, pour the cornstarch mixture into the saucepan, whisking constantly. Simmer over low heat, whisking constantly, until the mixture thickens – it should take about 3 minutes. Remove the saucepan from the heat and pour in the melted chocolate and the vanilla, stirring until incorporated. 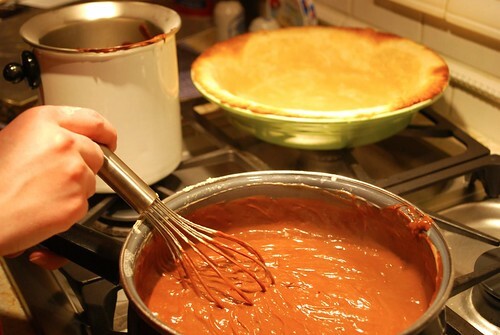 Pour the chocolate mixture into a bowl and cover it with plastic wrap, pressing the plastic across the surface of the chocolate so that a skin does not form. Allow the mixture to cool completely. Pour the filling into the prepared pie crust, cover, and refrigerate for at least 4 hours (overnight is best) so that the filling can set. In a large electric mixer bowl, beat the egg whites with the cream of tartar and the salt until the mixture begins to form soft peaks. Continue to beat, adding sugar very slowly, until the mixture looks glossy and stiff peaks form. Preheat the oven to 325 degrees. 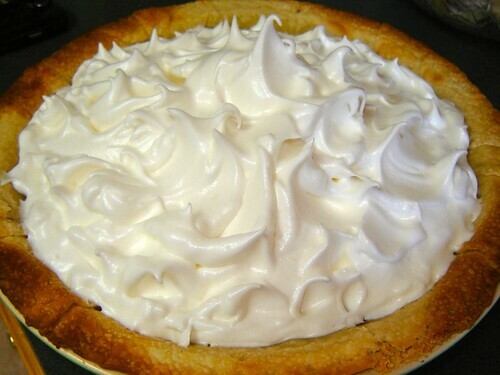 Spread the meringue over the top of the pie, being sure to spread it all the way out so that it touches the pie crust. This will prevent the meringue shrinking as it bakes. With a flat knife, pull decorative peaks out from the meringue. 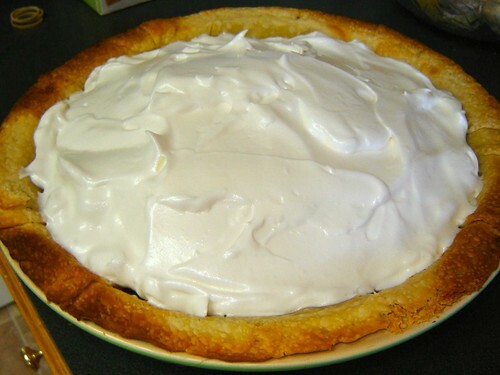 Bake for about 15 minutes, until the meringue is browned and golden. 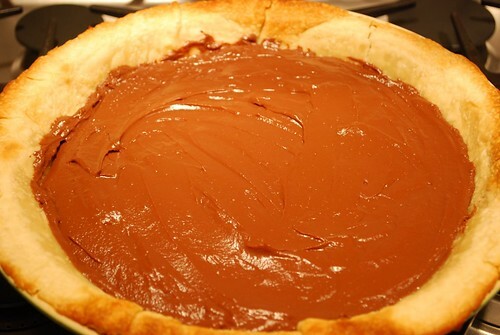 Remove the pie from the oven, and allow it to cool. Refrigerate for about 2 hours before serving!